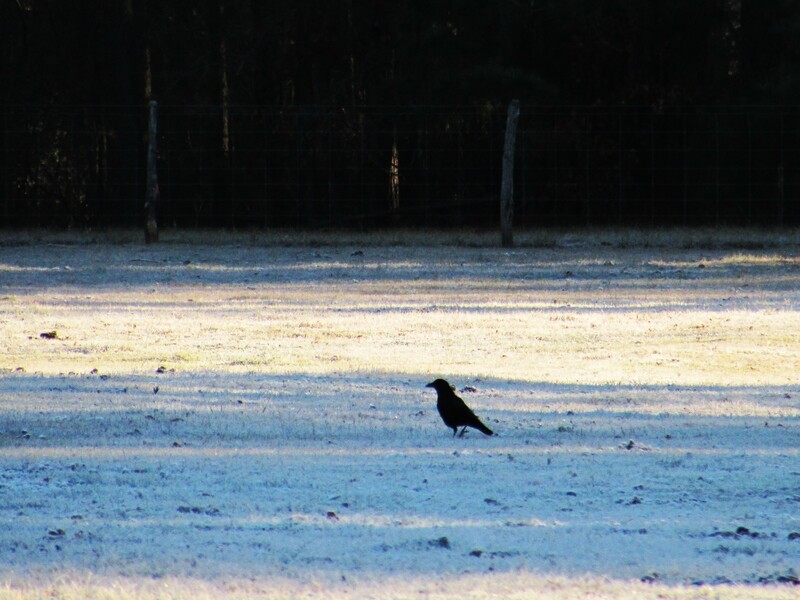 Strutting through the Frost Crow. You forage alone, from day to night. Oh, Mr. Crow, the portrait you make! Oh, Mr. Cold Crow, do stay warm tonight! That was my Thursday afternoon, “I need a break from house work and home school and life in general” stab at a short poem. I have a new appreciation for crows! Thank you! Wonderful poem! Crows are so intelligent. Thank you, and yes. Crows are wonderfully smart and resourceful! !